The Flashing Dog Collar from Rosewood is the perfect way to keep your beloved hound safe and seen in low light conditions. 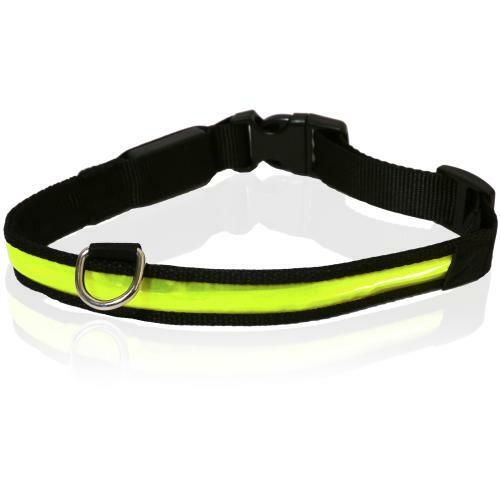 Operated by a single replaceable 3V cell battery (included), the reflective flashing collar is simple to switch on and off, offering maximum visibility whatever the weather. The collar is easily adjusted, there are 3 different light effects.